The first Mennonite settlers in the Cambridge area of Waterloo Township, Ontario, arrived in 1800. Pioneer Joseph Bechtel, ordained in 1804, was the first minister and Jacob Bechtel the first deacon. The Wanner and Hagey (Preston) congregations both evolved from this group. Meetings for preaching were rotated among various designated houses and later among meetinghouses. From 1812 to the 1850s, Benjamin Eby served as bishop for the area. A Union Meetinghouse, used for school and religious purposes of all denominations, was built at Hwy 24 and Beaverdale Rd. in 1829. This meetinghouse had two Mennonite and two Tunker (Brethren in Christ) trustees, and was also used as a school from 1829-1848. In 1837, a small white brick meetinghouse was built at the corner of Beaverdale and Maple Grove Rds. on land donated to the "Mennonist Society" by Henry Wanner Jr. Worship services alternated among Wanner, Hagey (Preston) and Cressman (Breslau) until the 1890s. In 1938, a new church replaced the 1837 meetinghouse. In 1838, David Sherk and John Bear, both advocates of the Sunday School, were ordained. 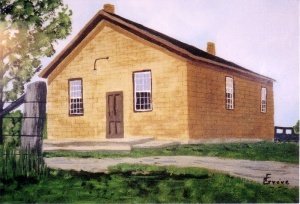 Thus, in 1840, the earliest Mennonite Sunday School in North America was begun and held alternately at Wanner and Preston. It was discontinued in 1841 because of opposition. In the following decades there was a division between the "narrow-minded" and the "free-thinkers" with issues of revivalism, Sunday School, evening prayer meetings and the temperance movement. Also, as early as 1869, the New Mennonite Conference had emerged. Attendance at worship services gradually declined. In 1892, Absalom B. Snyder was ordained as preacher for Wanner. Absalom preached in English from the start. The 1890s marked the end of a long period of dissension. Sunday School, evangelistic meetings and prayer meetings became acceptable. Through these efforts and the evangelism of John F. Coffman, more young people chose to be baptized and commit to the church. In 1896, Anson Groh became the first superintendent of the Sunday School and, in 1916, Wanner hosted the first Ontario Mennonite Sunday School Conference. The tradition of giving Christmas gift books to all children in the Sunday School began in the 1890's. The Wanner-Preston Young People's Bible Meetings began in 1906, the Women's Sewing Circle started in 1917 and the Alpine Literary Society functioned from 1920 to the 1950s. Mennonites are clearly a minority locally, but, although attendance varied over the years, Wanner has a long history of welcoming visitors and people from the community. The first annual Summer Vacation Bible School in Cambridge was initiated by pastor Simon M. Kanagy in 1933. The following programs commenced in the next decades: Amigo W.M.S.C. - 1947, Mennonite Youth Fellowship - 1949, weekly church bulletins - 1950, building of a parsonage - 1954, welfare fund - 1957, salary for the pastor - 1957, budget system - 1958, church council - 1962, drafting of a constitution and formal redefinition of church membership - 1960s, building of educational wing - 1968, small sharing and caring groups - 1972 and designation of three elders - 1986. Programs initiated in the 1990's include a junior youth group, communion services four times a year for Wanner members at Fairview Mennonite Home and an annual corn festival as an outreach to the community. There has always been a keen interest in missions. A number of persons from Wanner volunteered in short and longer term missions, Mennonite Central Committee and Mennonite Disaster Service in many countries around the world. Since 1996, the Seventh Day Adventist Church has rented the church building for Saturday worship services and education. The parsonage is now used for church offices and meeting rooms. Ties between the Wanner and Preston congregations continue to this day in mission conferences, seniors' activities and, periodically, in Mennonite Youth Fellowship activities. The year 2000 was one of celebration as Wanner and Preston congregations jointly planned events in commemoration of the 200th anniversary of the arrival of Mennonite settlers in Cambridge. About 2003 the congregation adopted the mission statement: "Wanner Mennonite Church is a Christ-centered community, sharing Jesus' love with each other and the world through fellowship, worship, Bible Study, prayer and serving others." Bechtel, Ken. Strangers Within the Gates: Wanner Mennonite Church, 1837-1987. Cambridge, Ontario: The Church, 1987, 111 p.
Congregational records at Mennonite Archives of Ontario and Wanner Mennonite Church. Cressman, Howard & Miriam and Debbie Shapansky. Strangers no More. Kitchener, Ont. : Pandora Press, 2000. "From the Files of Leslie D. Witmer." Hespeler, Ontario, 1967, 89 pp. Groh, Anson. "The Sunday Schools of Hagey and Wanner Congregations." 1915, 8 pp. Cressman, Miriam. 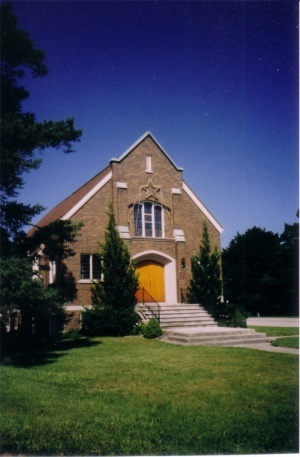 "Wanner Mennonite Church (Cambridge, Ontario, Canada)." Global Anabaptist Mennonite Encyclopedia Online. April 2004. Web. 25 Apr 2019. http://gameo.org/index.php?title=Wanner_Mennonite_Church_(Cambridge,_Ontario,_Canada)&oldid=146999. Cressman, Miriam. (April 2004). Wanner Mennonite Church (Cambridge, Ontario, Canada). Global Anabaptist Mennonite Encyclopedia Online. Retrieved 25 April 2019, from http://gameo.org/index.php?title=Wanner_Mennonite_Church_(Cambridge,_Ontario,_Canada)&oldid=146999. This page was last modified on 20 January 2017, at 13:35.